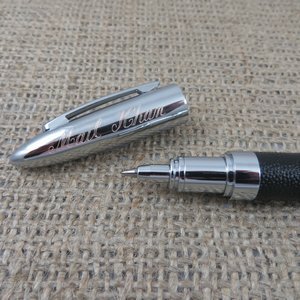 This handsome personalized engraved pen features an attractive leather-wrapped exterior that provides a solid grip. 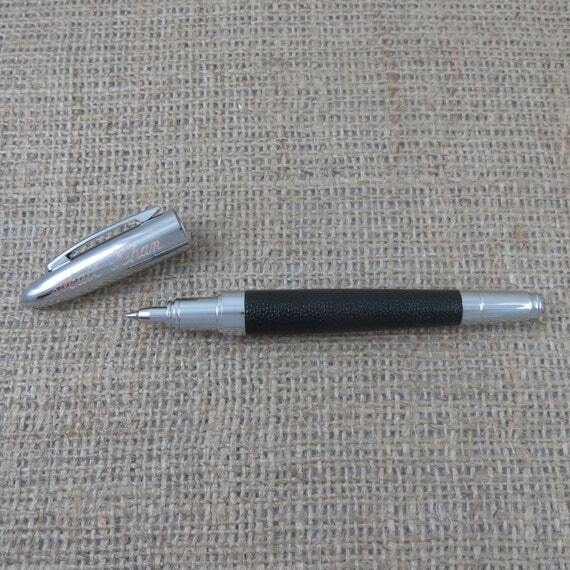 Perfect gift for the budding executive, new graduate or as a way to say "thanks" to your groomsmen. Size: 5 1/2" x 1/2".